Sometimes, the craving for Chinese takeout is just too much to bear. It would be really great to be able to kill that craving from the comfort of your own home, wouldn’t it? 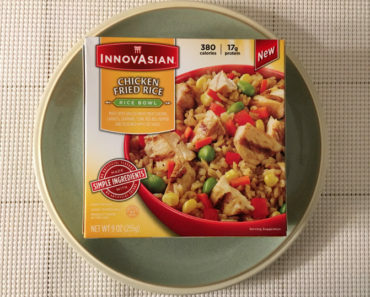 Well, InnovAsian Cuisine’s line of frozen food is here to solve that exact problem. 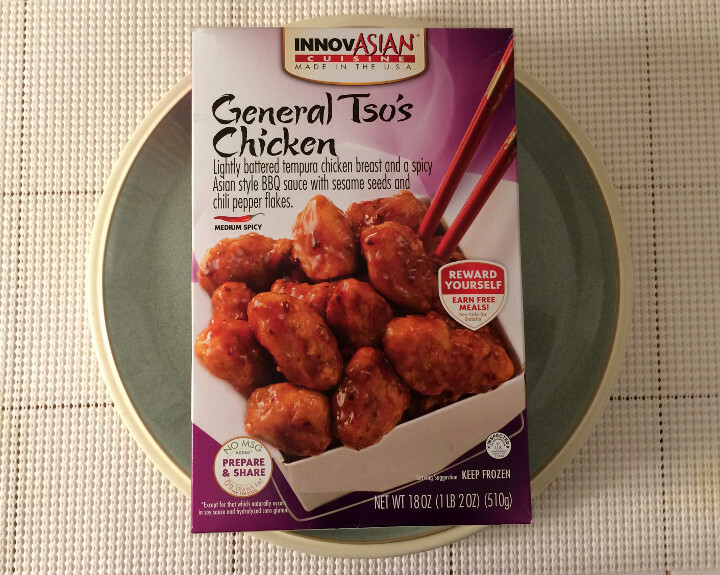 Today, we’re checking out the InnovAsian General Tso’s Chicken. 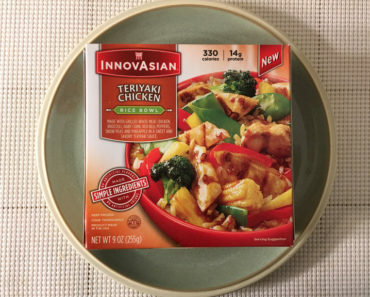 There are several ways to prepare this dish — via microwave, oven, or stovetop — and you’ll find instructions for all three methods on the box. 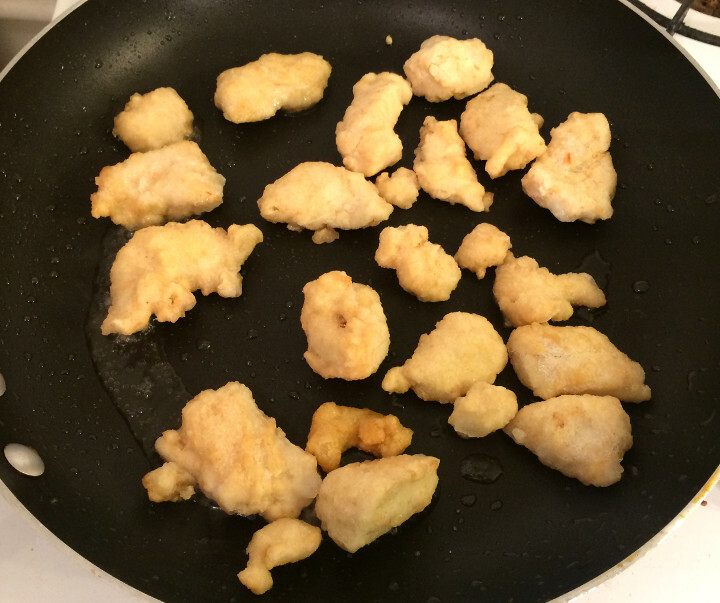 We chose the stovetop, because it seemed like the most promising way to get that authentic Chinese restaurant flavor. Of course, the first thing you’ll want to do is thaw the sauce in some hot water. The sauce comes in its own plastic packet, so all you need is a mug and a sink. 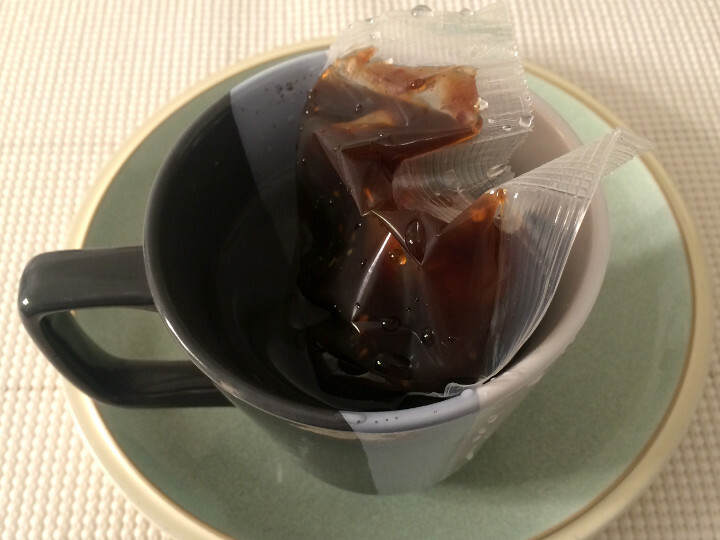 Fill up the mug with hot water, then drop the sauce packet in and let it sit for a bit. Meanwhile, you’ll want to heat up some vegetable oil in a wok or pan, then toss the chicken for six minutes. Then you simply cut open the sauce packet, pour it into the pan, and cook for two more minutes. It’s not quite as easy as just tossing it into the microwave and pushing a couple buttons, but we assure you, this is worth the extra effort. Seriously, this is some amazing-tasting chicken. The chicken itself has that fried texture with a little bit of an outer crisp, and it tastes quite alright. There were a few areas where our chicken burned a little bit, but we’re willing to admit that this was our own fault for not watching it closely enough. Any of the non-burnt pieces were pretty good, and even the burnt pieces were salvageable. But it’s the General Tso’s sauce that really gives this its appeal. The sauce is pretty much perfect. It’s really sweet, but it has just a little bit of spice to it to, well, spice it up. The spice factor is almost certainly the result of the chili pepper flakes mixed into the sauce. 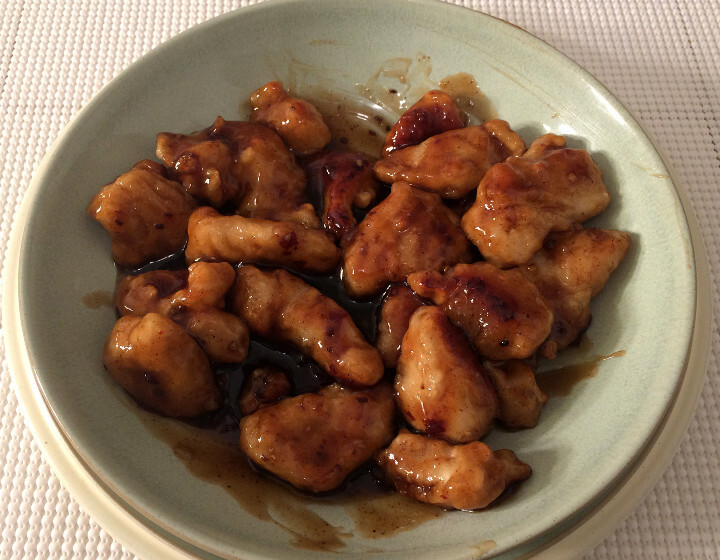 You probably can’t tell from the picture above, but the sauce also contains sesame seeds. 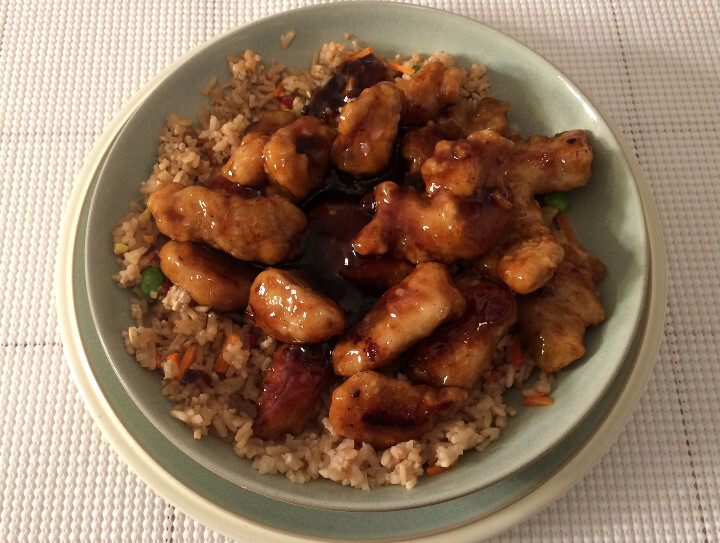 Personally, we think sesame seeds are the perfect topper for a General Tso’s chicken dish, so we’re pretty enthusiastic about that. This chicken is wonderful, but it’s even better if you have some fried rice to serve it over. Thankfully, the folks at InnovAsian have you covered. 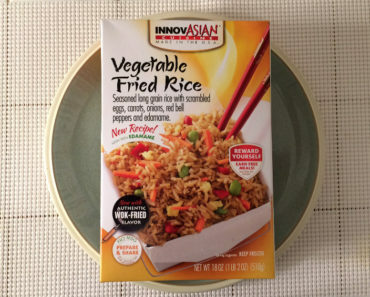 We used their Vegetable Fried Rice and it was the perfect combo. There’s way too much chicken here for a single meal, especially when you add rice, so we had plenty of leftovers after eating this. According to the box, this package contains three servings. 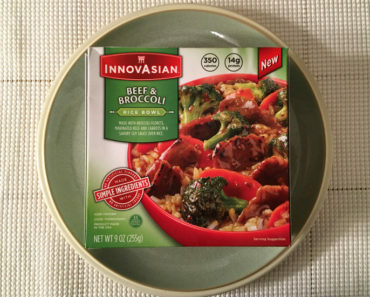 If you add rice, we think that’s perfectly fair, since if you try to eat a full box in one sitting, you’re going to end up with a bellyache. As we mentioned earlier, this is a pretty substantial amount of food. Of course, because there’s only one sauce packet, this is difficult to split into portions. You’ll either want to make this as a meal to share with friends and family members, or make a huge batch and toss your leftovers into a tupperware container and leave them in the fridge for later. 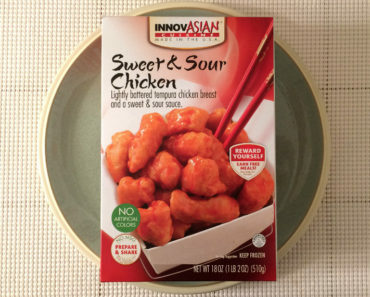 One serving contains 460 calories (100 from fat) and a whopping 930 mg of sodium. Since any rice you choose to pair this with will also be high in sodium, that’s a pretty dangerous amount. Be careful; this is a potential sodium overload. 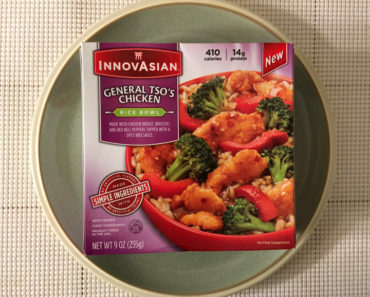 The InnovAsian General Tso’s Chicken is a restaurant-quality Asian-style chicken that really hits the spot. We love how generous the portion size is here, though we really struggled to stop eating this due to the incredible flavor. You’ll need to have a little bit of self-restraint to enjoy this one properly, because it’s just too darn good to stop. If you want to know more about the ingredients or nutrition content in this frozen food, check out our package scan below.